Anyone who’s ever done a cleanse can tell you about all the highs and lows that come with it. Hunger, withdrawal, energy, and triumph are just a few of the emotions you might experience while you detox your body and flush your system—whether it’s for just one day or 22 (à la Beyoncé). But after finally emerging from your cleanse feeling triumphant (and probably ever-so-slightly hungry), what exactly are you supposed to do next? Chances are high you’ll want to eat everything in sight, but we have a feeling that’s not the best route to go. To help us figure out how to ease our bodies into a healthy eating cycle and resist the urge to stuff our faces, we asked Elissa Goodman—certified holistic nutritionist and creator of Cleanse Your Body, Cleanse Your Life—to give us a road map of exactly what to do after a cleanse. Keep scrolling to read her valuable advice! If you just finished a cleanse, congratulations! You are taking essential steps toward becoming a healthier version of yourself. Before you can truly benefit from a cleanse, it's important to understand how a cleanse works. What is going on inside of your body? Gastrointestinal Tract: When toxins sit in your intestines and colon, they are then reabsorbed into your bloodstream. By cleansing your intestines and colon, you improve bowel movements, removing built-up waste from your body. Kidneys: When you cleanse, your kidneys are less overwhelmed. This helps them filter the waste from other organs, ensuring full-body detoxification. By cleansing, your kidneys are able to eliminate toxins, which often contribute to higher blood pressure and increased acidity. Liver: Your liver works so hard to separate nutrients from waste, but it can easily be overloaded, reducing its ability to function. There are two key detoxification phases, which require nutrients to convert fat-soluble (toxic) compounds into less harmful substances. The first phase helps break down substances such as caffeine, pesticides, alcohol, saturated fats, and more. During the second phase, toxins are converted into water-soluble substances. They can then be excreted through bile or urine. Skin: Our skin is an incredible organ that helps eliminate numerous toxins through its pores. Since this process is generally quite passive, cleansing can support detoxification. While cleansing, it's highly beneficial to exercise, as sweat will increase toxic elimination. Lungs: We breathe in so many pollutants on a day-to-day basis. When you cleanse, you naturally help dilute and drain toxins from your lungs. Once you give your body a helping hand, you will not believe how well it can naturally function. Drinking 16 ounces of lemon water each morning is an easy and effective detoxification strategy to incorporate into your daily routine. First of all, your body requires water for proper detoxification, especially after you have been fasting all night. When you add lemon, you boost water's detoxifying properties. Since lemons are a natural detoxifier, they help stimulate your liver's natural enzymes, helping your body flush out toxins. It’s important to remember that a healthy gut means a healthy body. Since around 70% of your immune system is found within your gut, a poor diet begins to take its toll. If you do not properly cleanse your gut, your body will not be able to eliminate the toxins other systems are trying to get rid of. When you take a strong probiotic and eat fermented foods daily, you increase good bacteria in your gut. These healthy bacteria support a healthy gut. Probiotics also benefit your liver, so consume more foods such as kefir, kombucha, sauerkraut, tempeh, and kimchi. Drink a green juice daily in order to continue supporting your natural detoxification process and ensure that you are getting vitamins, minerals, antioxidants, and phytonutrients into your diet. It is important to mention that too many sweet fruits are not recommended. Although fruits such as pears and apples are nutritious when eaten whole, they can add high concentrations of sugar to your green juices. Since fruit is packed with natural sugar, it's more beneficial to increase your green vegetable consumption. When your blood sugar spikes, so do your insulin levels. Choose ingredients such as spinach, kale, dandelion greens, various herbs, cucumbers, lemons, and limes. The easiest way to prevent bingeing after a cleanse is to ensure that you eat or drink every three hours. These snacks and meals should include both a protein and a healthy fat. The protein and fat will help keep you satiated for longer periods of time. Make a healthy protein bar: A homemade protein bar is a great choice when you're on the go! Grab a green juice (add 1 tablespoon of chia seeds): A green juice is filling and provides your body with the nutrients it needs to continually detox on a daily basis, and the chia seeds give you the protein, healthy fat, and fiber. Water with Ultima Replenisher Hydrating Powder ($22): When you drink water with Ultima Replenisher, you maintain hydration, which will help curb your hunger and cravings. I recommend staying away from the big three: gluten, sugar, as well as most dairy. When you stay clear of these, you should be able to continue feeling as great as you did during your cleanse. Although some people recommend staying away from dairy and gluten, others will cut out alcohol and coffee instead. Remember that your body and health are unique, so the big three tend to differ from person to person. With that being said, this is an important question to ask yourself what your big three are. This is the perfect time to tap into your own personal intuition. After all, you are your own body's number one expert! Check out ElissaGoodman.com and follow her on Twitter for more daily healthy eating inspiration! 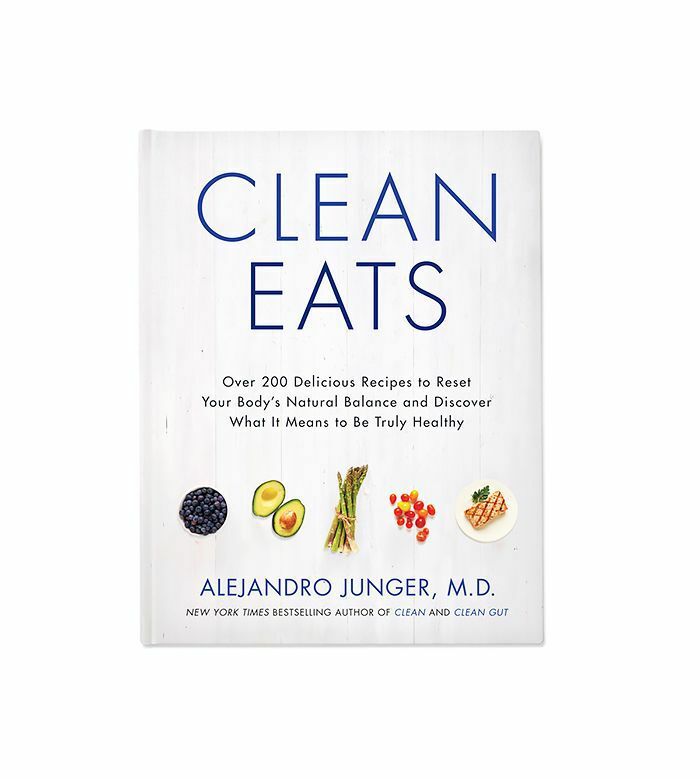 Feel prepared to deal with a cleanse now? 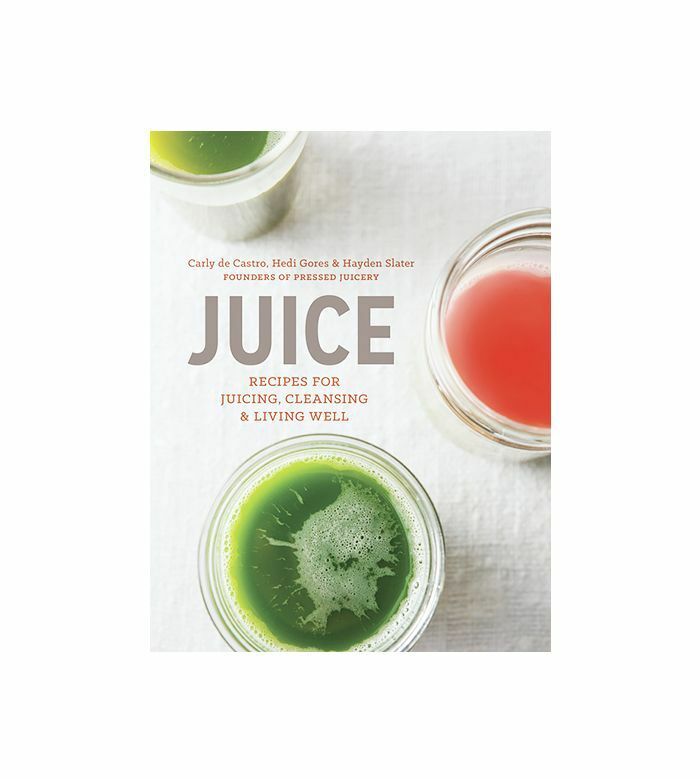 Click here for four non-juice cleanses to try before summer, and shop two of our favorite cleanse books below.